When Harmony were selected to represent the Netherlands during the 1978 Eurovision Song Contest with ''t Is OK', they recorded two versions of the song: in Dutch and in English. 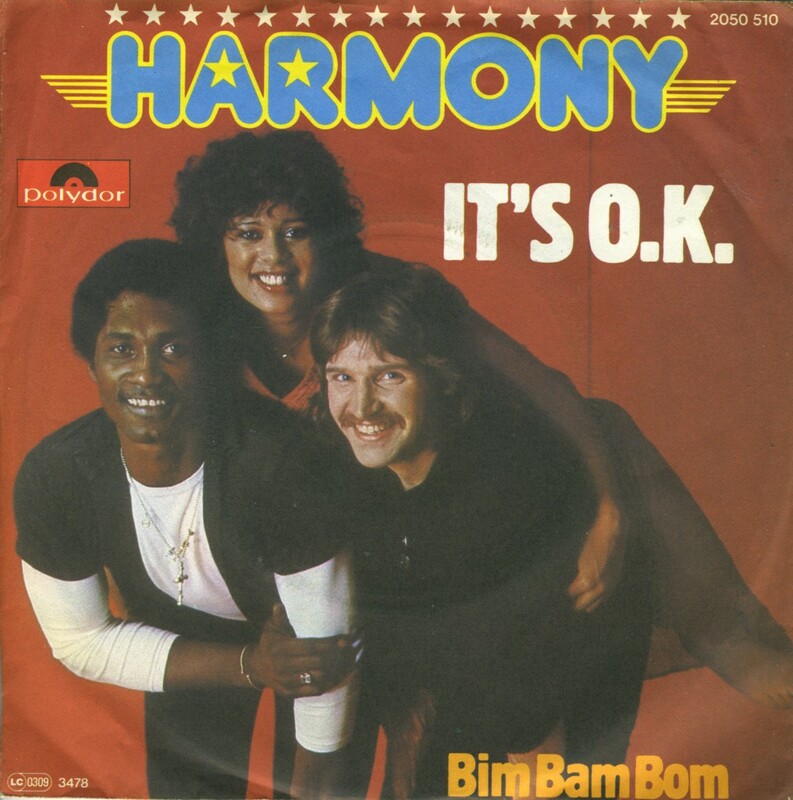 This English version, entitled 'It's OK', was released as a single in various countries. This single was made in West Germany. The single did not chart there, as in other countries. 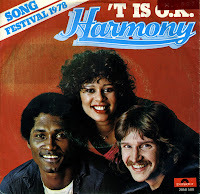 Ab van Woudenberg, Donald Lieveld and Rosina Lauwaars formed Harmony in 1978 and represented the Netherlands in the 1978 Eurovision Song Contest with ''t Is OK' ('It's OK'), lyrically a pale imitation of the 1975 Contest winner 'Ding-a-dong': 'sing a melody / Happy and in harmony'. The group finished 13th in the Contest, which took place in Paris after the 1977 victory by Marie Myriam. In the Dutch Top 40, ''t Is O.K.' peaked at number 29.